Picking the best metronome app can be a little difficult since the only way to test out an app is to buy it. Most only cost a few dollars, but that can add up pretty quickly given the number of apps that are available. 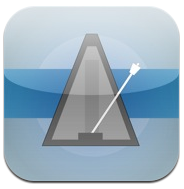 Metronome Plus (iOS – $1.99) is a simple, elegant, and easy to use metronome app. It’s accurate and loud, includes a tapping feature to gauge tempo, and allows for some customization of meters and customizations. It also has multitasking capabilities, so you could read sheet music on your iPad, while keeping the metronome going in the background. 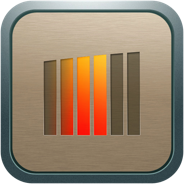 But most of all, Metronome Plus is easy to use, and has a beautifully uncluttered interface. It’s about as intuitive and visually attractive a metronome app as you’ll find. 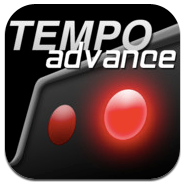 Tempo (iOS – $1.99 & Android – $.99) and its more full-featured sibling Tempo Advance (iOS only – $2.99) is another popular metronome app. Offers the usual range of features, from a variety of time signatures and compound meters to saving of custom rhythm presents and the ability to keep the metronome going even when your device is locked or running another app. The Advance version adds additional customization options and nice little touches like the ability to control the volume of the app independently of the phone’s volume. 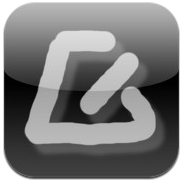 Time Guru (iOS – $2.99 & Android – $1.99) is a unique metronome app developed by guitarist Avi Bortnick. It does all the things you’d expect a metronome to do, but it’s killer feature is that the app gives you the ability to selectively – or randomly – mute the sound. 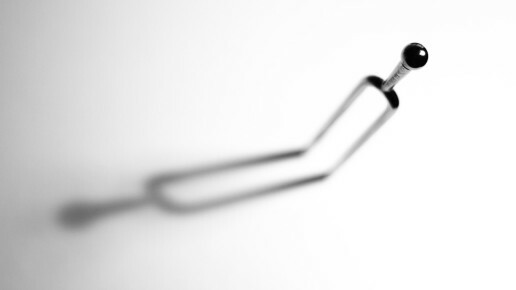 This can be very revealing, and let you know if you have a tendency to rush or drag. It could also help you develop a stronger internal sense of time, rather than becoming reliant on a continuous external beat. Dr. Betotte (iOS – $9.99) is the most expensive of the top five, and the most Dr. Beat-like of the bunch. Most musicians will probably never use half of what it’s capable of, but it does all sorts of weird funky rhythms and allows you to save all of these settings for future practice sessions (unlike apps like Polynome, which won’t save your settings). It also has a cool feature where you can program it to slowly increase the tempo over time, which can come in handy when you want to start working a tricky passage slowly, and gradually get it up to full speed without having to fiddle with the metronome settings in between reps.
Metronomics (iOS – $2.99) is not the most attractive metronome in the world, but it has a unique beat randomization feature (which looks and sounds cool, but I can’t for the life of me figure out how/why I’d use this – what am I missing here?). You can save your rhythm settings, and even send/receive them with other Metronomics-using friends. This app also has an “Independence” setting which allows you to mute the sound for a certain number of bars. This is similar to Time Guru’s random muting, just without the randomness. Metronome Plus was the resounding winner, with 79% of the votes. Honorable mention goes to Polynome (iOS – $1.99), and Mobile Metronome (Android – free) also gets a nod. Have something to say about one of the finalists? Want to make a case for your favorite, even if it didn’t make the top five? Make your case down below. 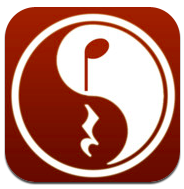 What's the Best Metronome App?